For two hundred years, the economic engine of capitalism helped make the United States a nation where almost anyone willing to take initiative, work hard, and save money could lead a comfortable life, raise a family, and assume an active role in the community. Since the 1970s, however, a gulf has opened between the wages of low-paid workers and those of the middle class. With this decline in their reward, workers’ job attachment has weakened, thus reducing employment. The entitlements of the welfare state have magnified the effect. The effects in turn on crime rates, drug abuse, and other indicators of social breakdown are costly for everyone. Edmund Phelps underscores the importance of earning a respectable wage to foster self-worth and responsibility. He shows that earning such a wage has been increasingly hard for those at the low end of the wage distribution as productivity has come to rely more on knowledge and skills and less on brawn and hard work. 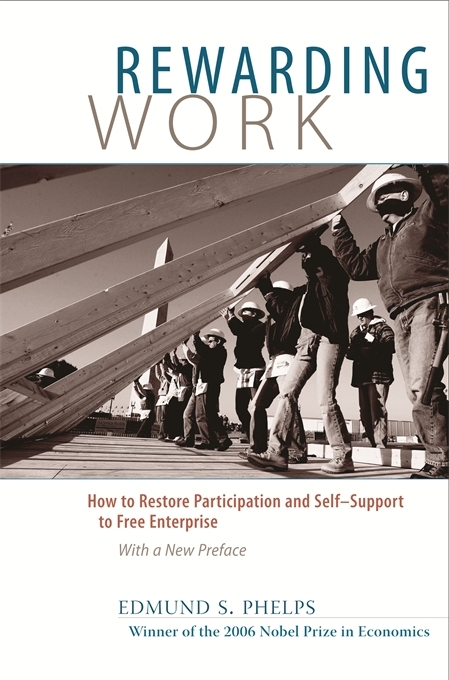 A crucial task for our economic and political system, Phelps asserts, is to devise methods to help less productive workers draw a reasonable wage, thereby reintegrating them into the economic mainstream. Phelps’s solution is a graduated schedule of subsidies to enterprises for every low-wage worker they employ. As firms hired more of these workers, the labor market would tighten and pay levels would rise. Ultimately the program would be largely self-financing, because its cost would be offset by reductions in the cost of welfare, crime, and medical care—as well as by formerly unemployed workers who would then pay taxes. 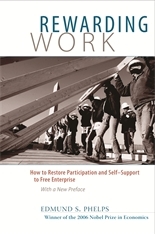 Rewarding Work is an essay on what could be called economic engineering—in this case, the engineering of wage structures to help low-wage American workers achieve self-sufficiency and self-respect.